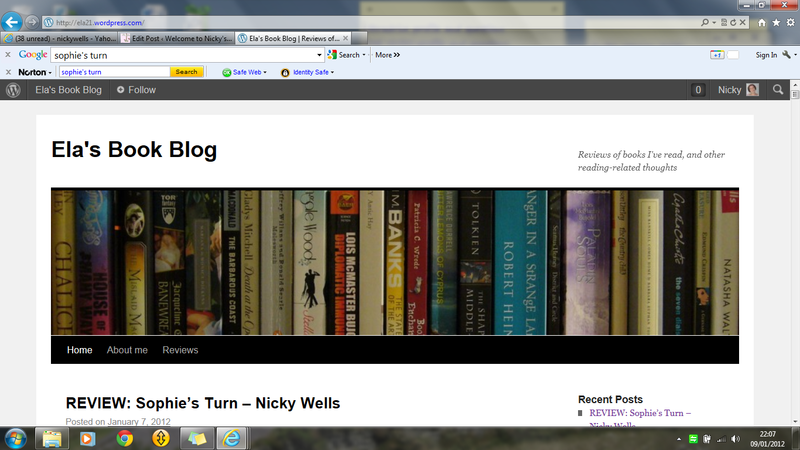 Nicky Wells is featured author on “Laurie’s Thoughts and Reviews” with an interview and a give-away of Sophie’s Turn! As the amazing book tour for Sophie’s Turn is slowly but surely winding to a close, it is my tremendous pleasure to visit Laurie’s great blog, “Laurie’s Thoughts and Reviews” as a featured author. Laurie is still in the throes of reading Sophie’s Turn, but meanwhile she is hosting me on a stop for an interview and a give-away. Moreover, she is featuring a juicy little excerpt of Sophie’s Turn so if you haven’t read it yet, be sure to check this out…. Also find out when exactly I started my writing career, what surprised me most when writing Sophie’s Turn… and whether I have a milestone birthday coming up, and what I plan to do with it! The associated give-away is for one Kindle copy of Sophie’s Turn and is open internationally until 6th December. I would love to see as many of you as possible come and visit, and wish all entrants good luck as always. Rock on, folks! x 🙂 A big “Thank You” to Laurie for hosting me on her blog: I am truly honoured! The good things just keep happening this week! 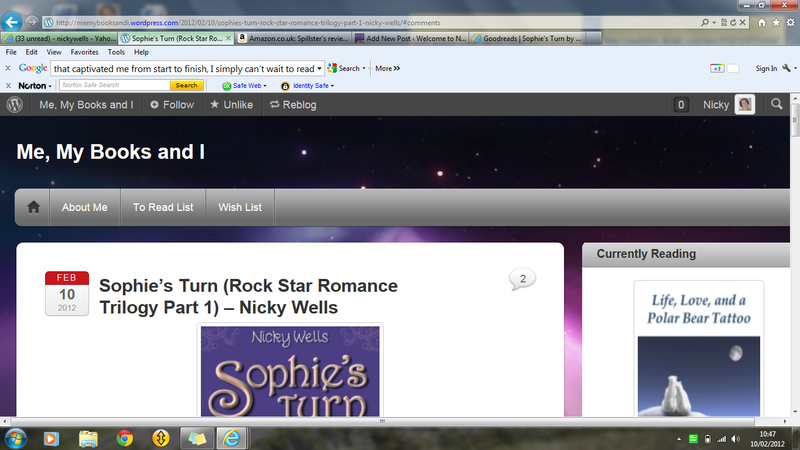 How excited was I yesterday to find out that Ananda, my lovely Associate Reader over at loveahappyending.com, has finished reading rock star romance Sophie’s Turn and posted a review on her blog, Books to Remember! Ananda had been making enthusiastic noises about Sophie’s Turn all the while she was reading is but little did I appreciate just why! So here’s why. Says Ananda: “I have two things to confess: First I am a sucker for chick-lit books and second, I just love music and rockstars! So what happens when I see these two combined! THE INEVITABLE – I LOVE THE BOOK!” Find the full review on Ananda’s wonderful blog. I am truly delighted–this is the reaction I was hoping for while I was writing… yay! Here’s to kindred spirits. A huge lovely thanks to Ananda for speed-reading Sophie’s Turn and offering such a glowing review. Ananda, I’ll be visiting you soon over in the Kingdom Far Away to collect my four sparkly diamonds…. Triple Whammy for Sophie’s Turn: FIVE Stars from Donna at “My Life. 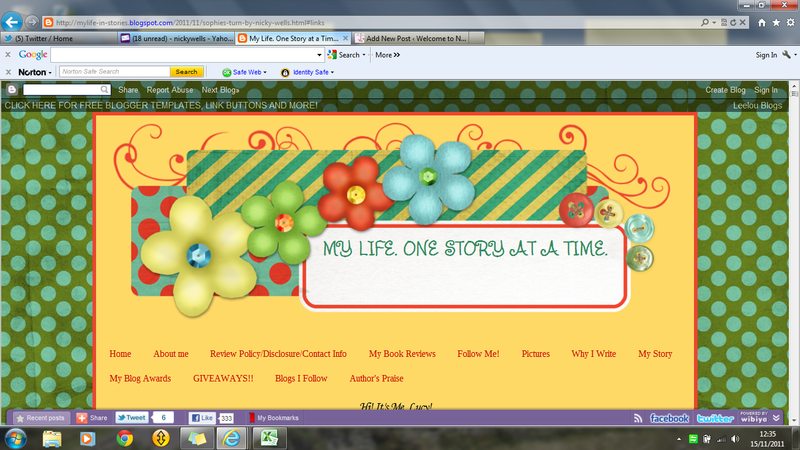 One Story at a Time” plus an author interview and a fabulous give-away! It is my enormous pleasure to be visiting Donna’s exceptional blog, “My Life. One Story at a Time.” today. 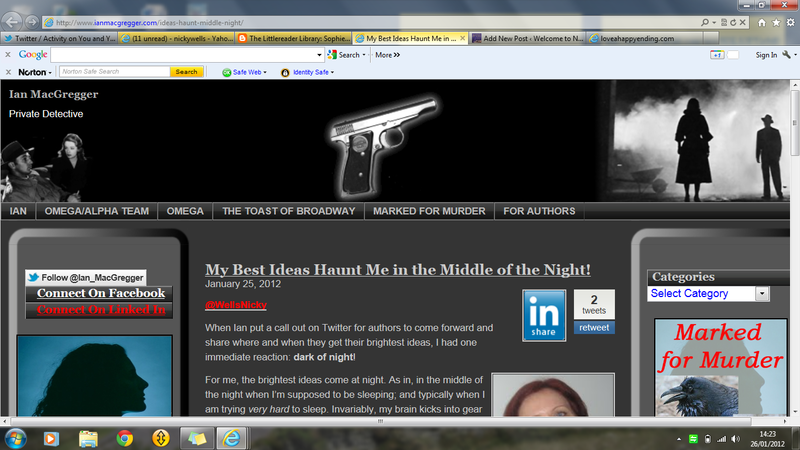 Donna blogs with a difference. When she agrees to offer a review, she also wants to find out more about the author and always includes an author interview. Moreover, she likes to include in her feature some of her favourite quotes from the book she is reviewing. And the result is truly compelling. So I am bowled over that it is my turn today. Donna has awarded Sophie’s Turn Five Stars on Amazon and written a thoughtful and glowing review. I am completely over the moon! Although… on reading the first few lines, my heart sank to my knees, and I was thinking: what have I done?!? You’ll have to read the full review to find out why! There’s also my lovely interview: find out the top three things on my bucket list! 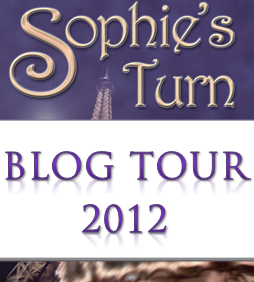 And finally, don’t miss the give-away of one Kindle copy of Sophie’s Turn. The competition is open internationally until 22 November! A triple whammy on this amazing day, and I have a big smile on my face. Please do come and join me over at “My Life. One Story at a Time.” and good luck to all give-away entrants. 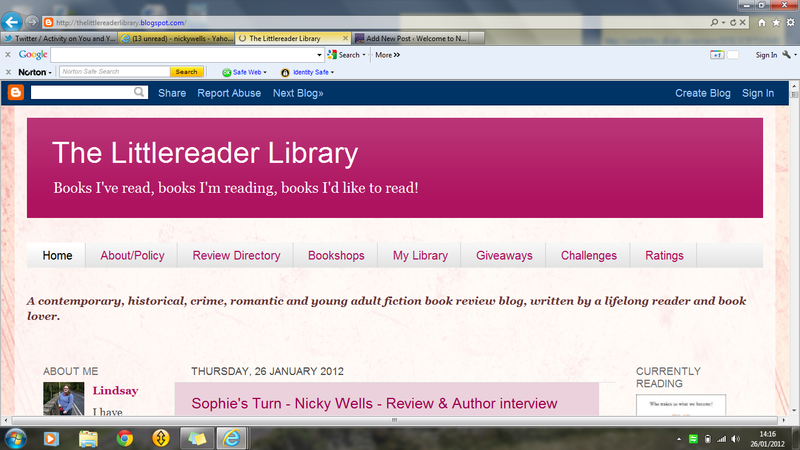 Chick Lit Central judges Sophie’s Turn to be a ‘compelling read’ and awards FOUR lovely stars! A wonderful good morning to you all! 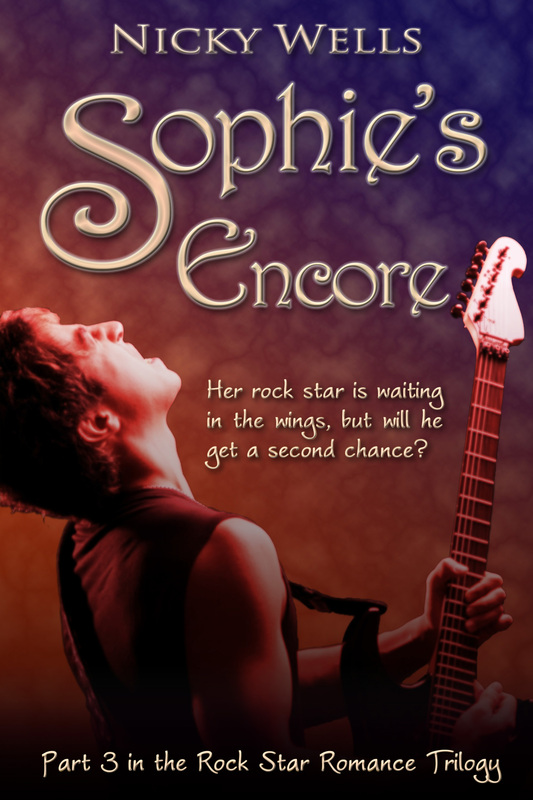 It is my great pleasure to be visiting the fabulous Chick Lit Central blog once more today as Melissa Amster has posted her review for rock star romance Sophie’s Turn. Melissa concludes that “If you are looking for an entertaining chick lit novel, then you’ve come to the right place with this one.” Melissa gave Sophie’s Turn FOUR stars on Goodreads. Hooray! That’s lovely praise for my work and I am truly delighted. Find the full review here. 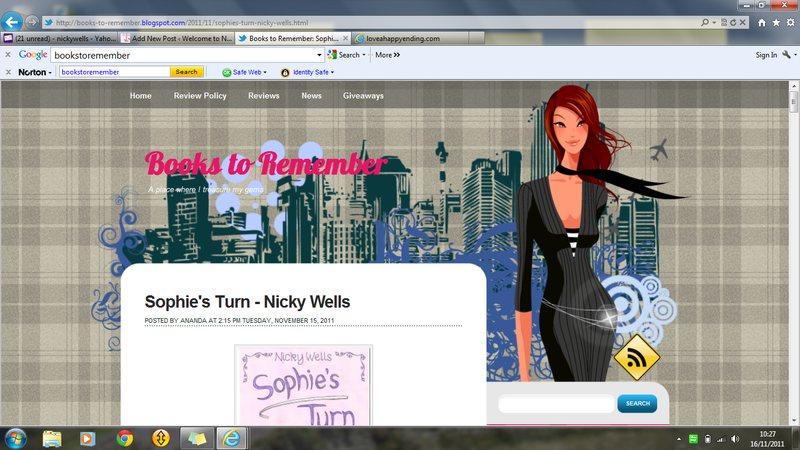 A great big thanks to Melissa for taking the time to read and review Sophie’s Turn. I know Melissa would have preferred a paperback (me too! Maybe…hopefully… one day!) so I doubly appreciate her perseverance with reading my work and the great thoughts and work put into this review. 🙂 Rock on!